, Ofcom is keen to avoid a repeat performance so it's already talking next-next-gen networks. The future networks, which we'll refer to as 5G for now, will run on new airwaves that Ofcom plans to release in the relatively near future. The body is concerned that as we use more and more mobile data, we're running the risk of a 'capacity crunch' which could affect both mobile networks and digital TV. 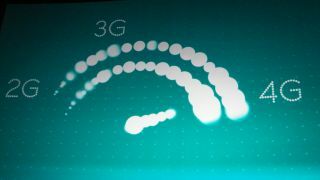 This doesn't mean we can flick a switch and get 5G now; although more airwaves will be available, Ofcom isn't unveiling any secret hidden spectrum today. In fact, it's only unveiling plans that still need to be agreed internationally, and the fruits of today's labour won't be in place before 2018 at the earliest. Ofcom plans to draw on the 700MHz frequency band - currently used for digital terrestrial TV (e.g. Freeview) – to bring the UK in line with the rest of Europe. Digital TV can use alternative frequencies now which may require people to retune their TVs, but won't mean another major switchover style operation. Some may need to replace their rooftop aerials too. But it's all for the greater good, says Ed Richards, Ofcom's chief exec, who warns that the upcoming 4G spectrum auction "may not be enough to meet consumers' future demands".